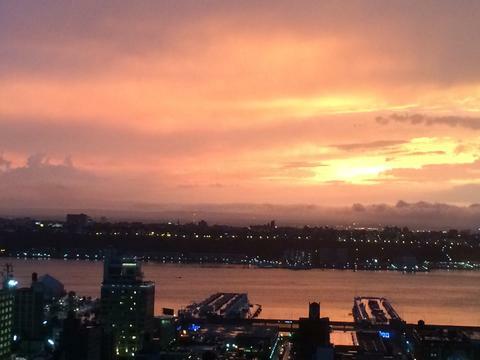 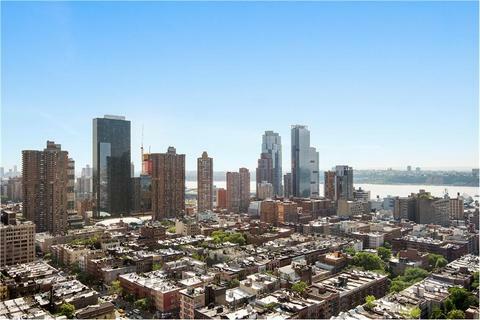 Come home every evening to gaze out at unobstructed views of the sun setting over the Hudson River and Manhattan's architectural landmarks, all the way down to the World Trade Center. 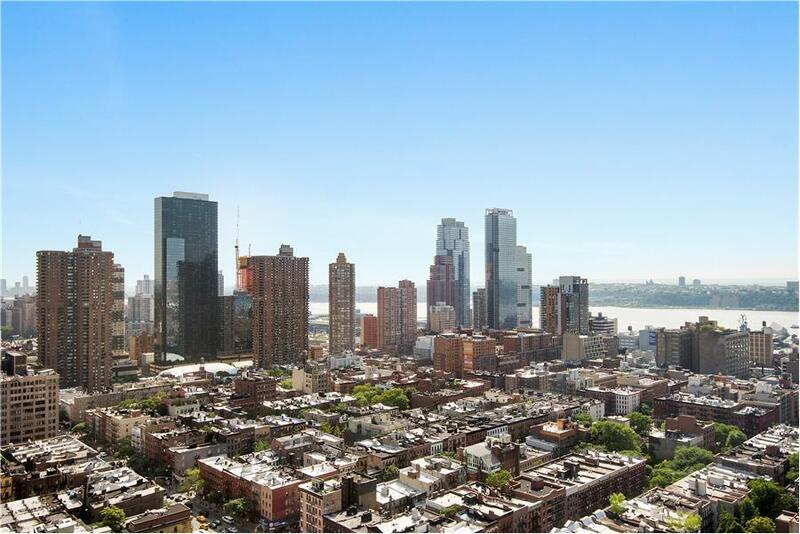 Unit 33D at Worldwide Plaza is a sun-drenched corner one bedroom with unlimited panoramic views South and West, uniquely zoned so that your views can never be taken from you. Conveniently located in the middle of Hell's Kitchen's numerous restaurants and bars (including the newly opened Gotham West Market), you will never lack for new places to eat and fun spots to go out. 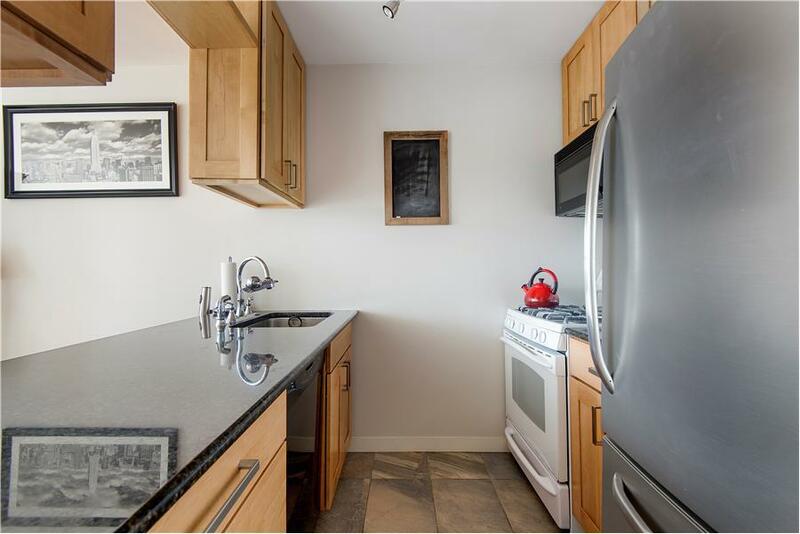 The condo's newly gut-renovated kitchen was specially designed to allow continuous views throughout the apartment, and has stone floors, granite counters, soft-close cabinets and drawers, a stainless-steel GE fridge, a GE Profile convection oven, and more. 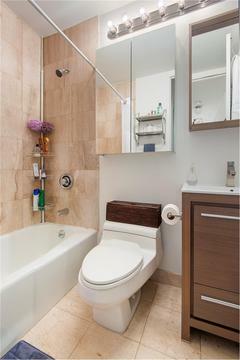 The condo also boasts a new bathroom with marble floors and bath, and ample closet space rarely found in New York, including a walk-in California closet with Elfa modular shelving and drawer storage system. 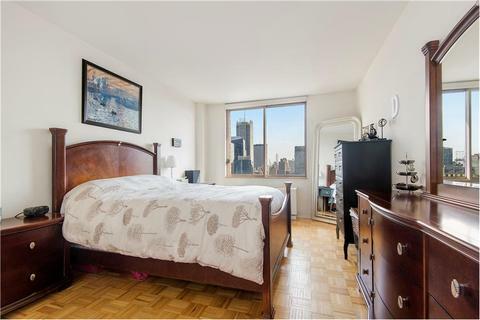 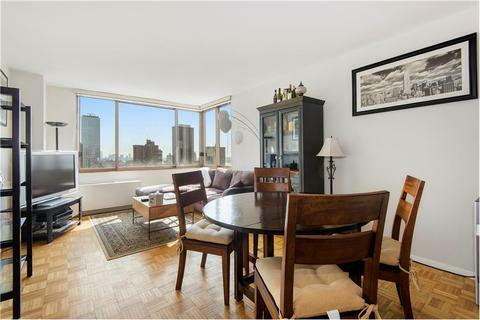 The bedroom is generously sized with more than enough room for a king bed and full bedroom set, and faces South with gorgeous views of Manhattan. 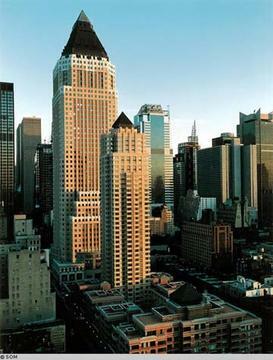 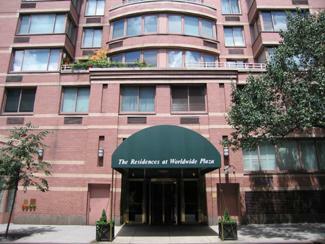 Worldwide Plaza is a friendly and full-service, white-glove condominium that allows pets. 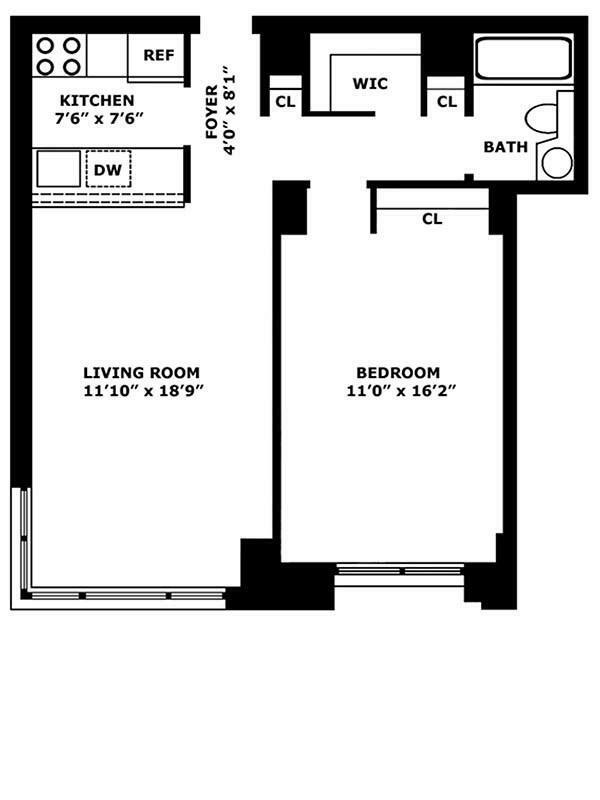 Building amenities include a full-time doorman and concierge, interior private garden courtyard, and a roof deck with tables and lounge chairs. There is also a parking garage and gym located within the building, and a spacious courtyard with multiple restaurants, a fountain, and lots of public seating. 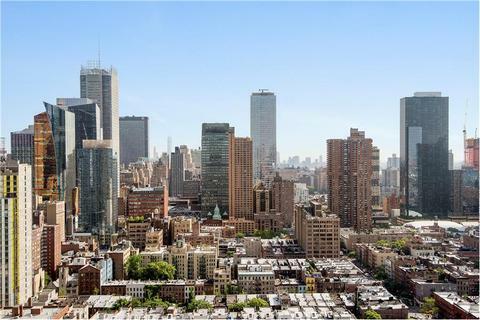 Outside the building, you are just a short stroll to Central Park, Hudson River Park, the High Line, Broadway shows, the MoMA, the Shops at Columbus Circle Mall (including Whole Foods Market), and new restaurants and bars. You are also very close to the C, E, 1, N, Q, R, F, B, and D subway lines and the cross-town bus.